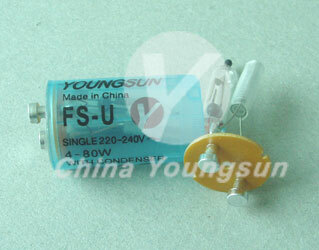 Youngsun also offers different series of fluorescent lamp starters.Our starters are made by imported equipment in strictly accordance with IEC standard.Excellent quality and complete specification meet the requirement of customers.We offers special customer-service programs for the starters, including stock programs, special packaging, and private labeling. Looking for ideal Starter for Fluorescent Light Manufacturer & supplier ? We have a wide selection at great prices to help you get creative. All the Starter for Fluorescent Light are quality guaranteed. We are China Origin Factory of Starter for Fluorescent Light. If you have any question, please feel free to contact us.